A special day of Eid-ul-Fitr for Muslims is coming soon just in few days as it is a reward by Allah for Muslims who fast in the month of Ramzan. All Muslims as men, women and kids celebrate this Holy festival with more passion and happiness. It is the most famous festival for Muslims that is celebrated on first of Shawal according to the Islamic calendar every year in the whole world. The Eid-ul-Fitr is incomplete without Mehndi and Bangles for small and young girls as well as women. On Chand Raat the girls wake up all night and make trending designs of Mehndi on their hands and feet. The large no. of Mehndi Designs are for hands and feet for all occasions. This article is about to Latest Mehndi Designs for Eid-ul-Fitr 2019 for giving a special look to your hands and feet. The women and girls are very conscious to choose trendy dresses, jewelries, hairstyles and Mehndi designs for looking charming & dashing. So there is a very high demand of Mehndi Designs for Hands and feet for Eid-ul-Fitr. Some girls like simple and unique Mehndi Designs while other like full covered hand with mehndi. If you are looking for Latest Mehndi Designs then you are at the right place because it is all about Latest Mehndi Designs for Eid-ul-Fitr 2019. Mostly girls like to make tikkies on front and back side of their hands. This design consists of a round circle in the center of the hand around with beautiful flowers. The fingers are fully covered with mehndi. There are a large no. of Mehndi designs for decorating hands and feet as well. Mostly girls like the full covered hand with mehndi from front and back side as shown in picture. It looks so nice to see a hand full filled with mehndi. A new trend is very common now to decorate only fingers of hands with mehndi. In this type of design the fingers are fully covered with mehndi and the palm of hand is empty. That look so stylish and unique design of your hands. Not only the hands are important to decorate but feet are also important to decorate with Mehndi. Many girls search for beautiful mehndi designs for feet also. Girls decorate their hands and feet with mehadi on weddings, birthday parties, functions and most important on Eid festival. Feet can also be decorated with mehndi in fully covered or only fingers covered as shown in pictures. The Eid festival is all about kids and how we can avoid them because this is the day which is being celebrated by the children mostly. 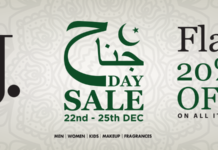 They also want new & beautiful dresses, shoes, bangles and Mehndi on this special day. Mehndi looks so nice on kid’s small hands and feet. Note: All images are taken from Internet for informational purpose only.